Joe McHugh TD is Minister for Education and Skills. He previously served as Government Chief Whip and Minister of State at the Department of Culture with responsibility for Gaeilge, Gaeltacht and the Islands up to October 2018. He was previously appointed as Co-Chairperson of the British Irish Parliamentary Assembly in July 2011. In July 2012 Deputy McHugh was elected as Chairperson of the Joint Oireachtas Committee on the Implementation of the Good Friday Agreement. Deputy McHugh was re-elected to Dáil Éireann as a Fine Gael TD for Donegal North-East in February 2011. Joe was born on the 16th of July 1971. He is the second eldest of five children. His father Denis McHugh was a builder and farmer and Mrs Mary McHugh worked as a District Nurse. The family continues to reside at Claggan, Carrigart. Joe was educated at Umlagh NS and at the Loreto Convent, Milford. He graduated from St Patrick’s College Maynooth (NUI) with an honours degree in Economics and Sociology in 1992 and subsequently with a Higher Diploma in Education in 1993. Joe was a geography and maths teacher at Loreto Convent in Letterkenny from 1993-95 and taught A-level economics in Dubai in 1995-96. He worked as a Community Youth Worker in Glenwood, Letterkenny from 1996-1999. Joe McHugh became a Fine Gael public representative in June 1999 when he was elected to represent the Milford electoral area as a Member of Donegal County Council. Cllr McHugh proposed the establishment of Donegal Youth Council, which led to the first democratically-elected youth forum in Ireland. Cllr McHugh was also appointed as Chairperson of ERNACT (European Region Network for the Application of Communications Technology), where he placed emphasis on broadband provision in border areas. He was elected to Seanad Éireann in 2002 and served as Fine Gael Seanad Spokesperson on Community, Rural, Gaeltacht and Marine Affairs from 2002-2007. Fine Gael Leader Enda Kenny officially opened Joe McHugh’s full-time constituency office in Letterkenny on 6th October 2006. He was selected by Fine Gael as the Party’s Donegal North-East candidate for the 2007 general election. He previously served as Minister of State for the Diaspora and International Development. 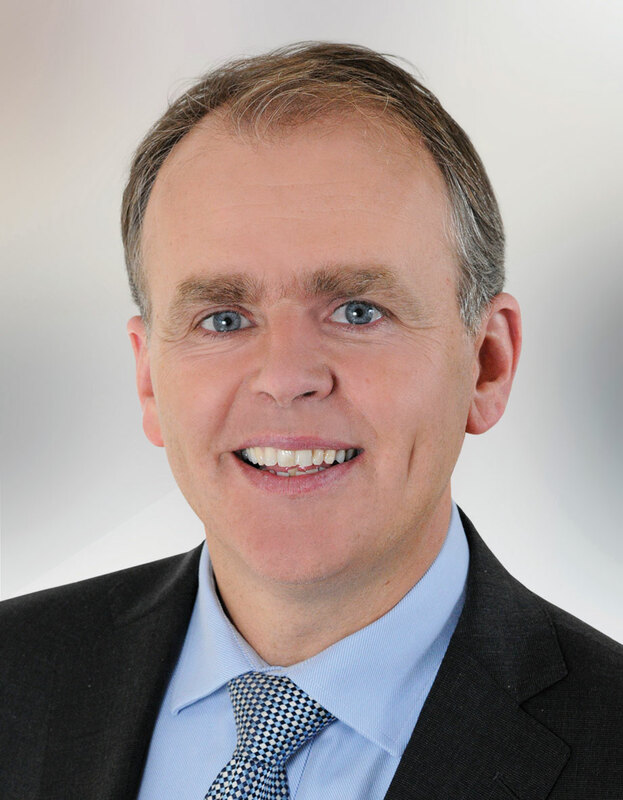 He amassed 22.6% to top the poll in the 2007 general election, and was elected to Dáil Éireann, re-establishing a Fine Gael Dáil presence in Donegal North-East after 10 years without Fine Gael Dáil representation in the constituency. He was appointed as Fine Gael Spokesperson on North-South Cooperation followed in October 2007and authored ‘The Fine Gael Border Forum Report’ in July 2010. This 16-page policy document set out the Party’s plans for North-South economic synergies and for job creation in the Border region. Proposals set out in the Report are being implemented as part of the Fine Gael-Lab 2011-2016 Programme for Government. He established the Fine Gael Border Forum in February 2010. Joe married Olwyn Enright in July 2005. Ms Enright was a Fine Gael TD for Laois-Offaly from 2002-2011 and is a former Opposition Spokesperson on Education & Science. She did not contest the 2011 general election. The couple have three children, Darragh, Aedín and Oisín. The family resides at Claggan, Carrigart. A review is to be undertaken as to whether History should be an optional subject at Junior Cert level, Education Minister Joe McHugh has announced. €884,000 will be spent in the county in the latest round of funding to repair and improve rural roads providing access to homes, farms, tourist spots and local amenities. It takes funding through the LIS scheme in Donegal to more than €4.2million in the last two years.